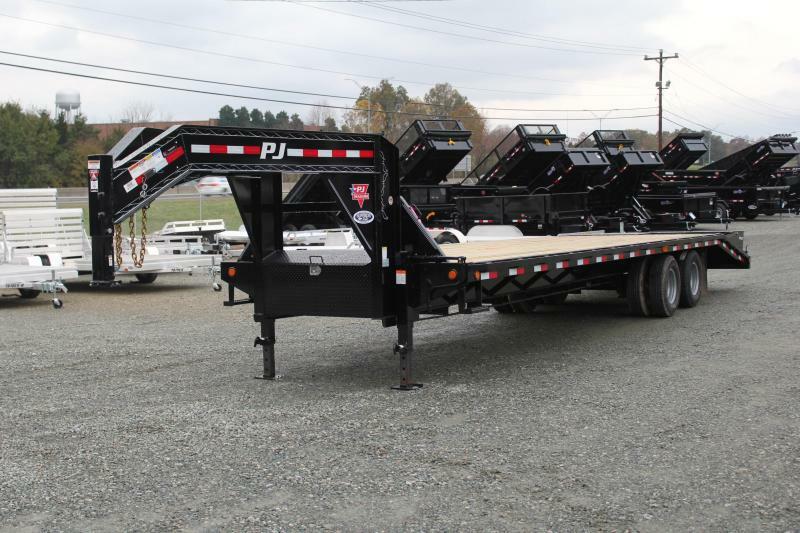 PJ Trailers makes the toughest gooseneck trailer on the market. 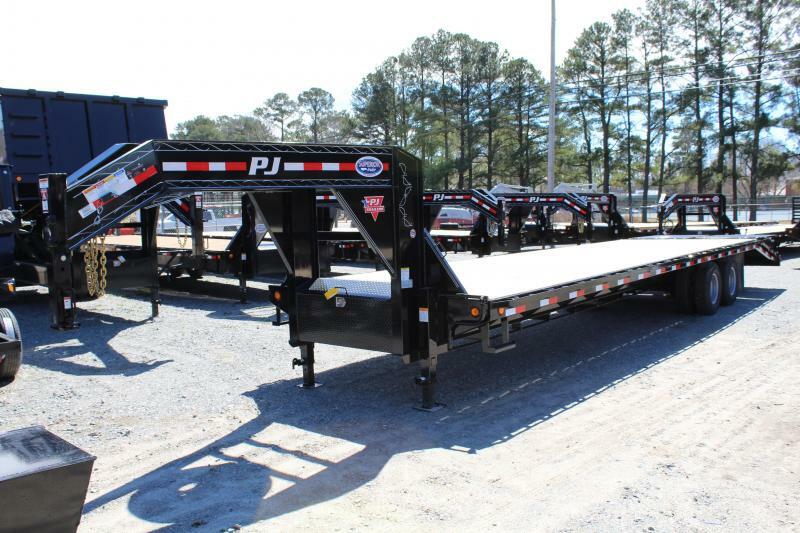 Standard features include 19 LB per foot I- Beam Frames on all units over 25ft in length and Frame Bridging on all models over 30ft in length. 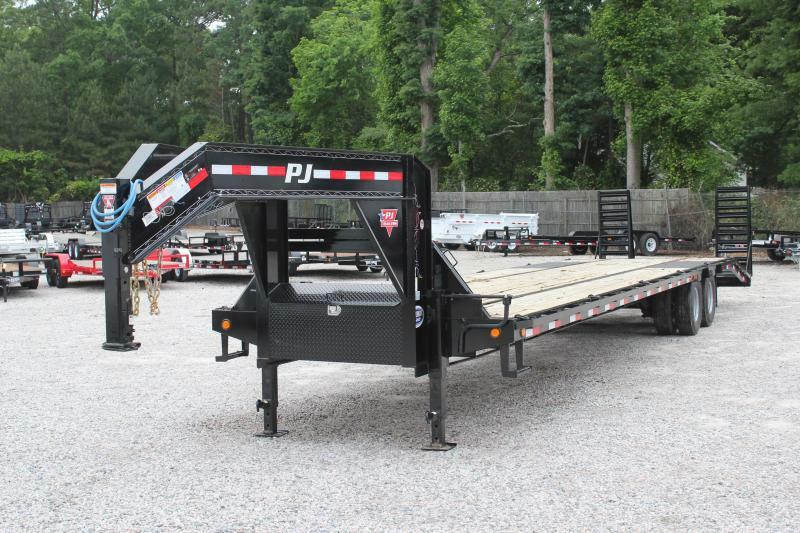 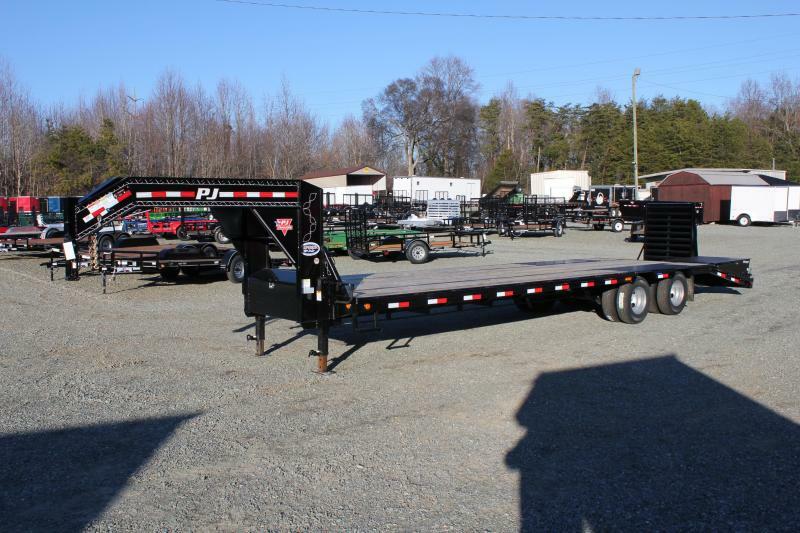 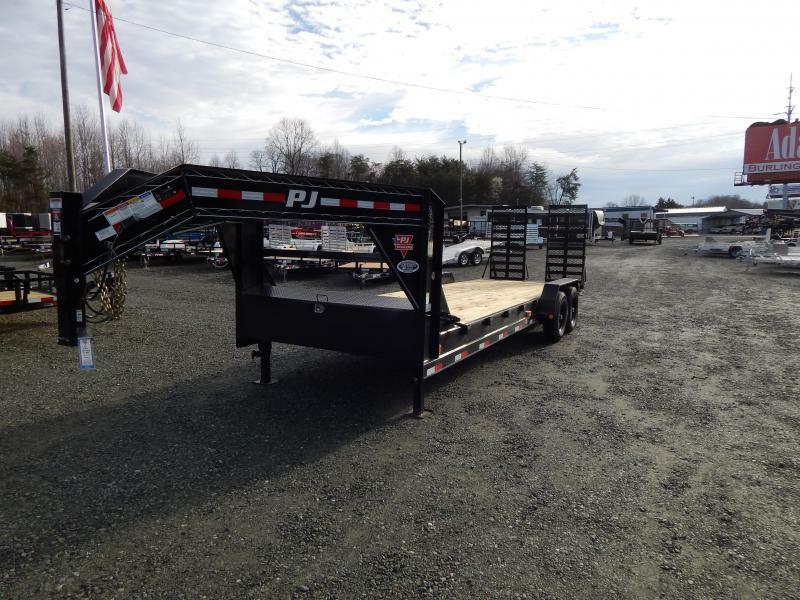 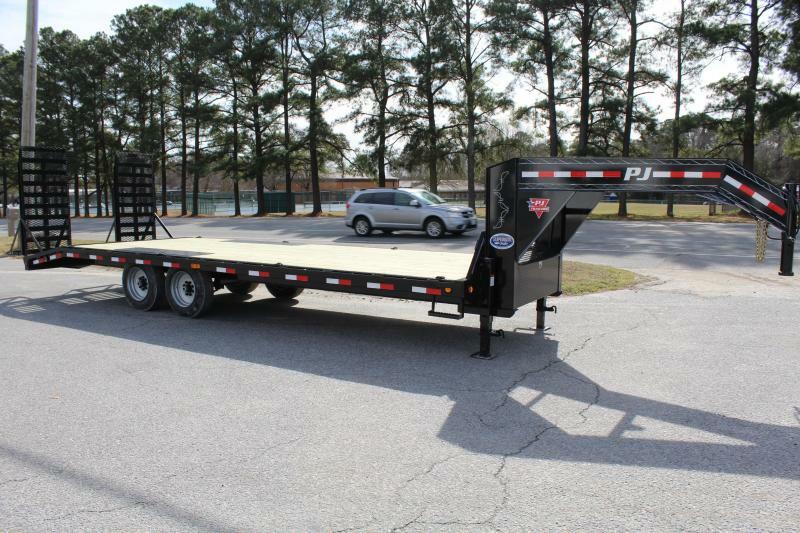 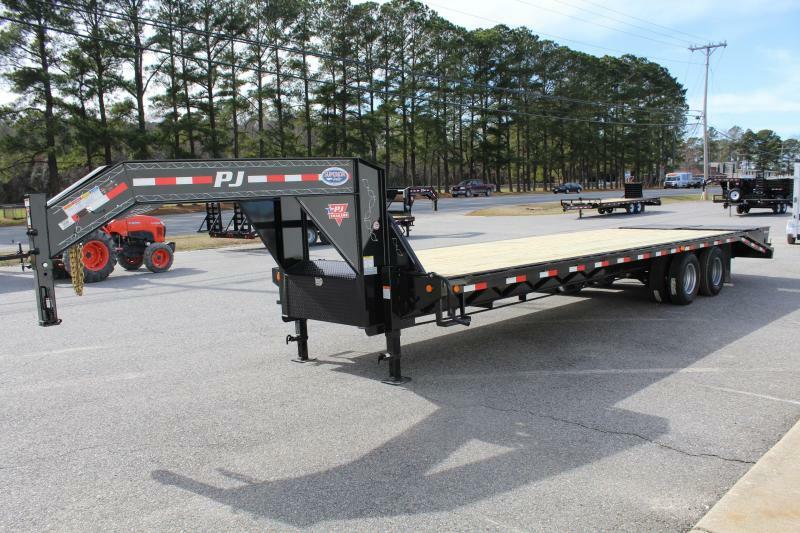 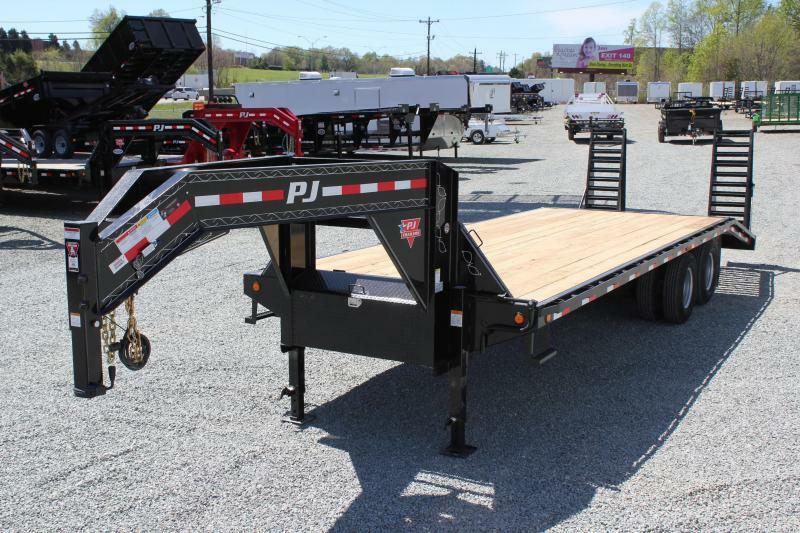 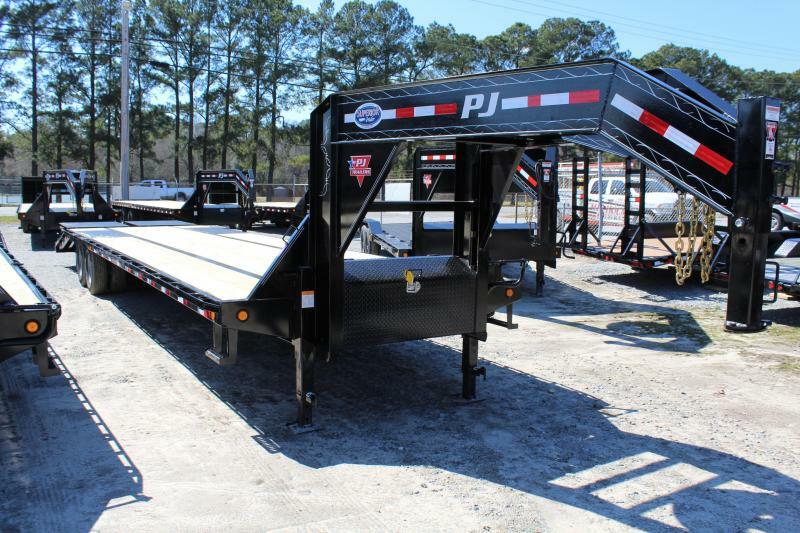 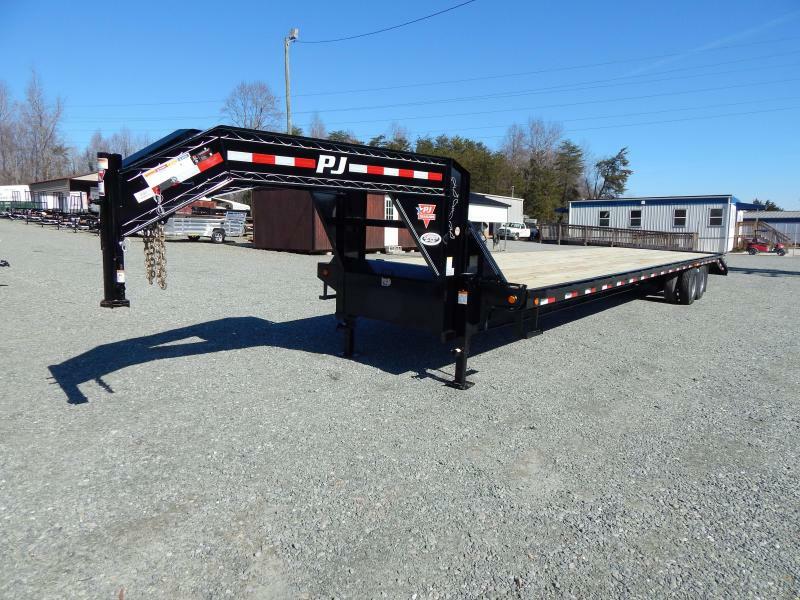 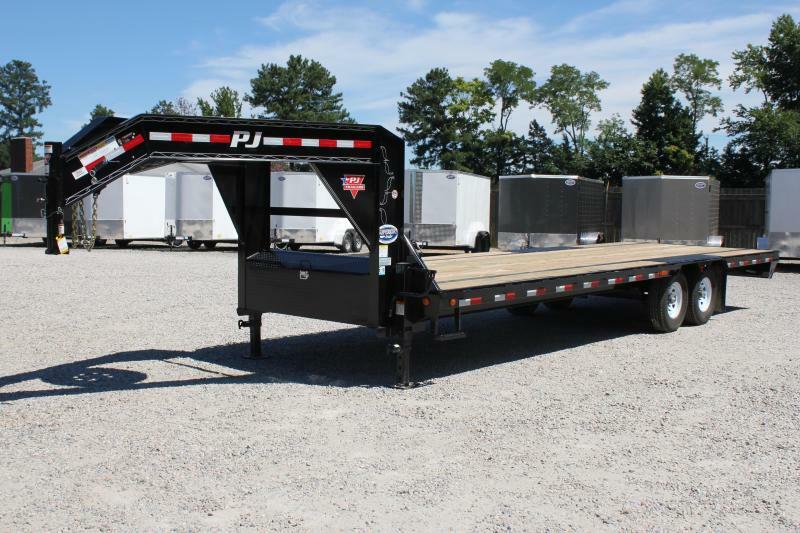 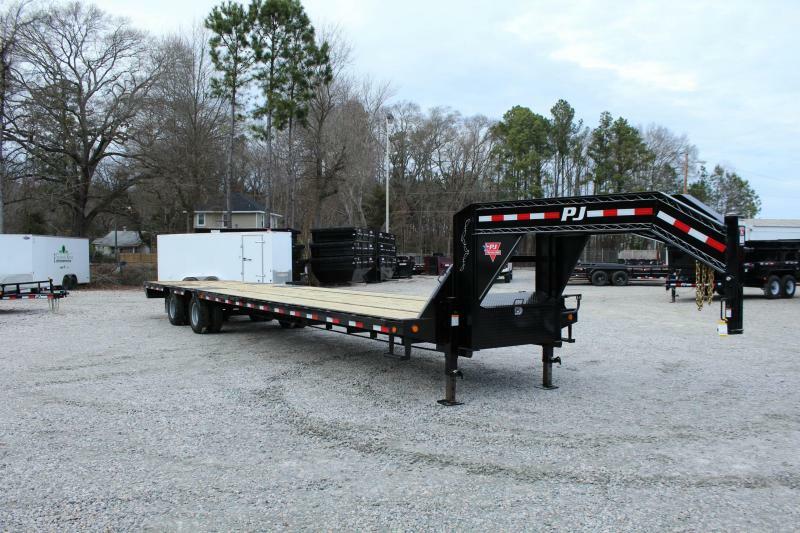 A favorite with professional Hot Shot Haulers PJ trailers offers several options including air ride, hydraulic dovetails, monster ramps, hydraulic jacks, winches and torque tubes. 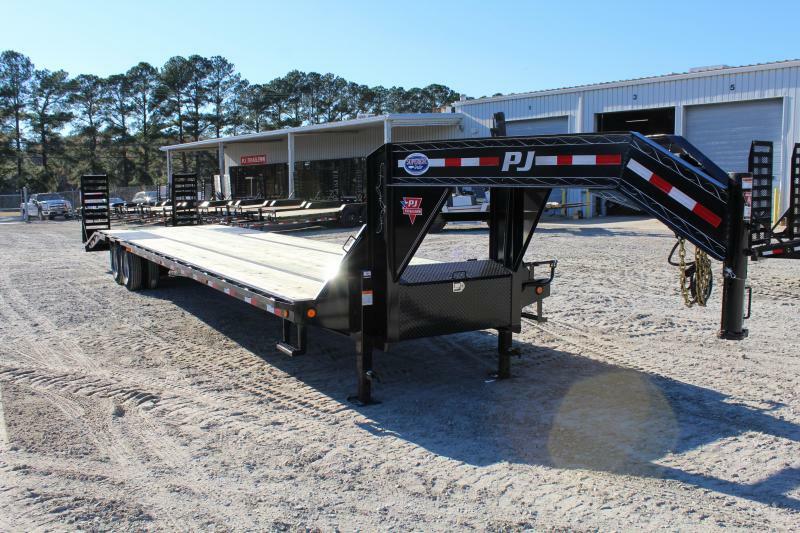 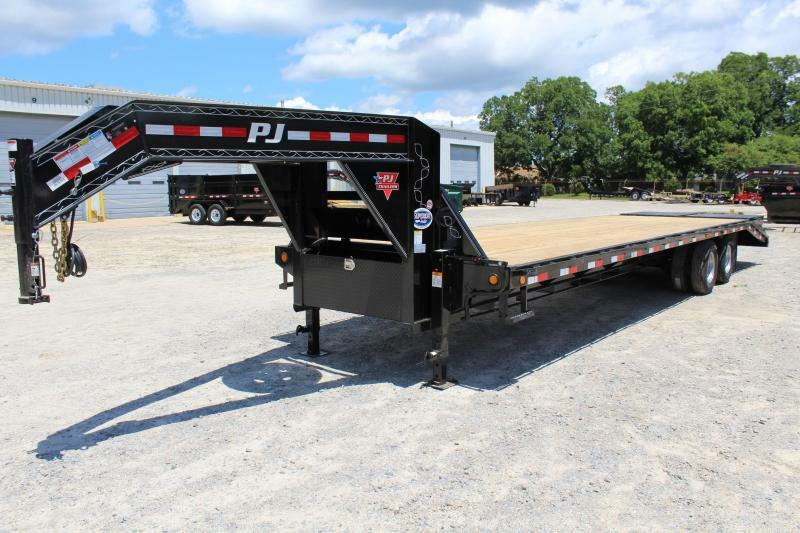 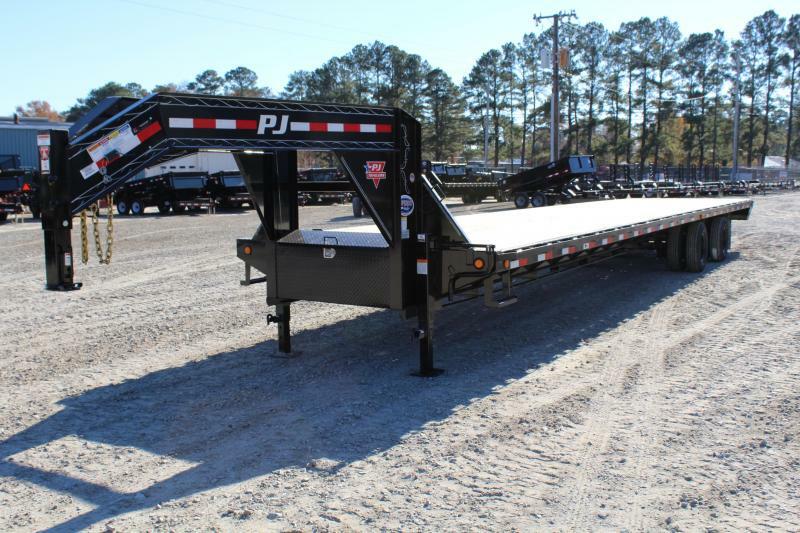 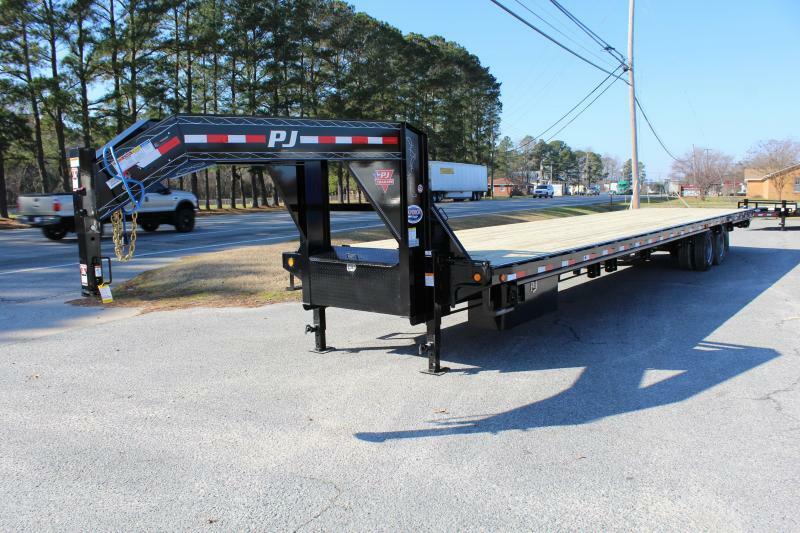 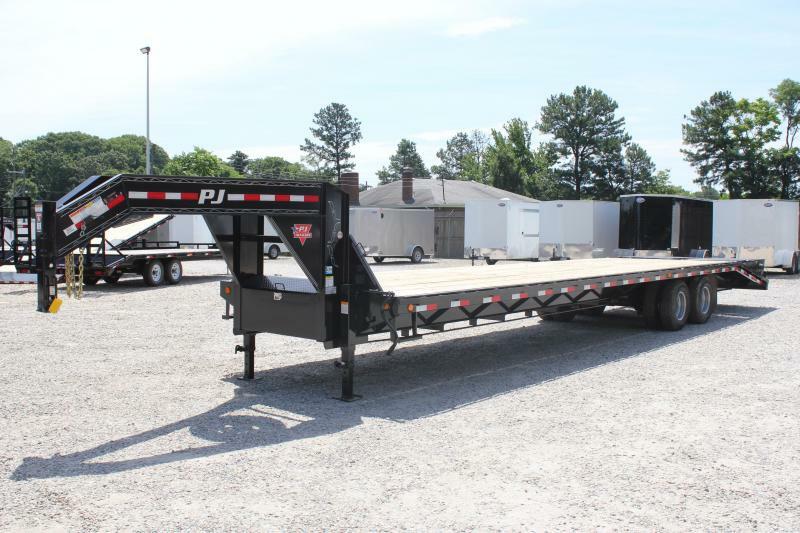 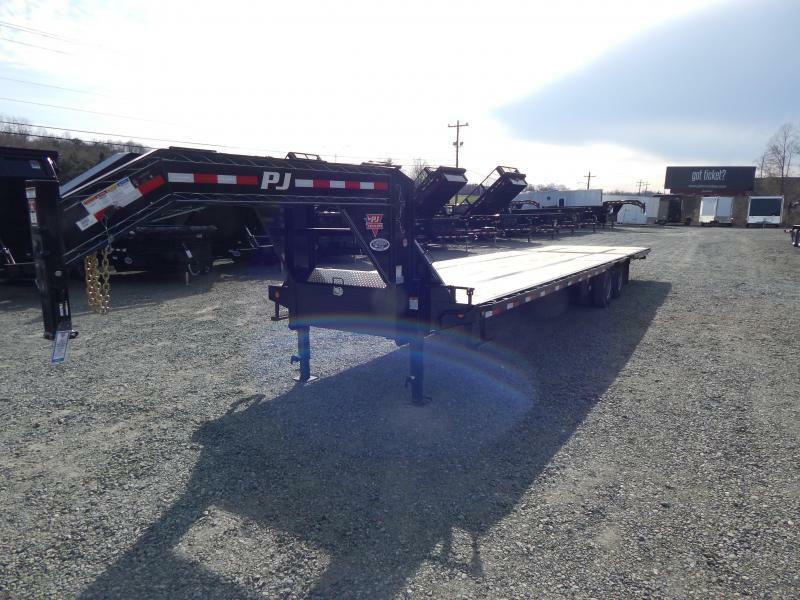 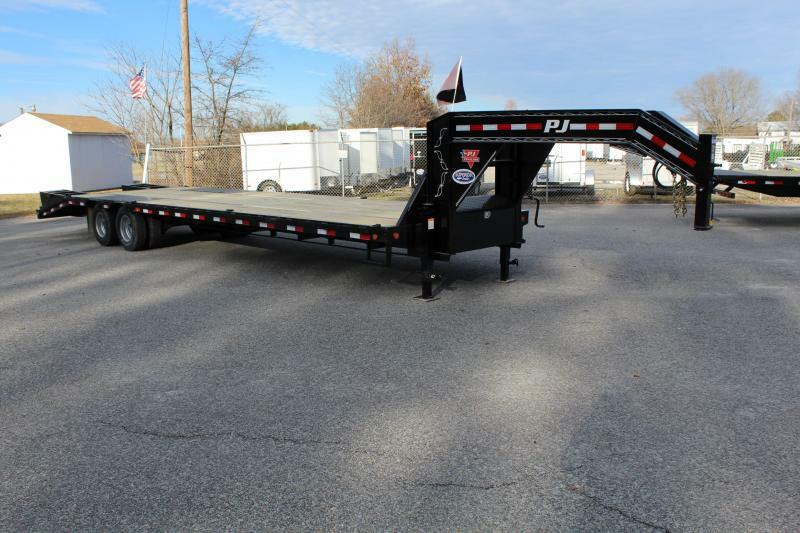 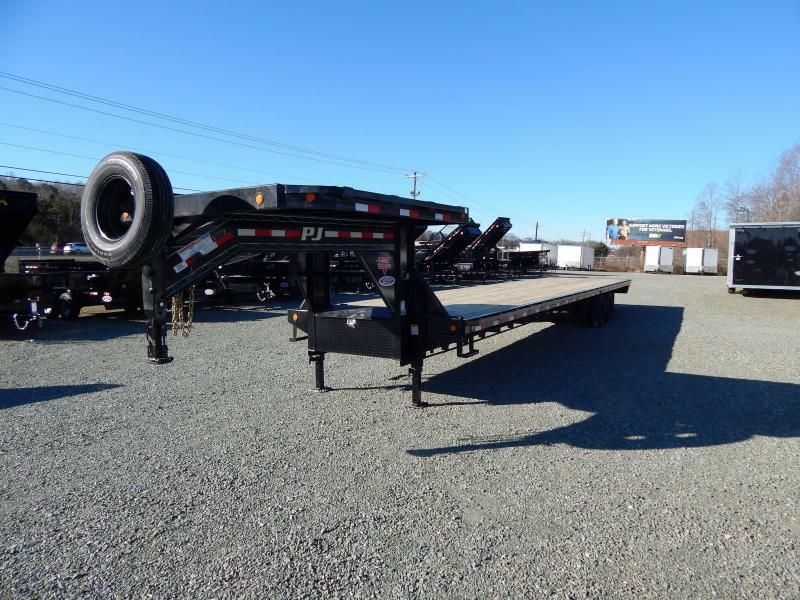 PJ goosenecks come in two deck heights with the standard classic flatbed or low profile model called a lowboy that is designed for customers looking for the lowest deck height available. 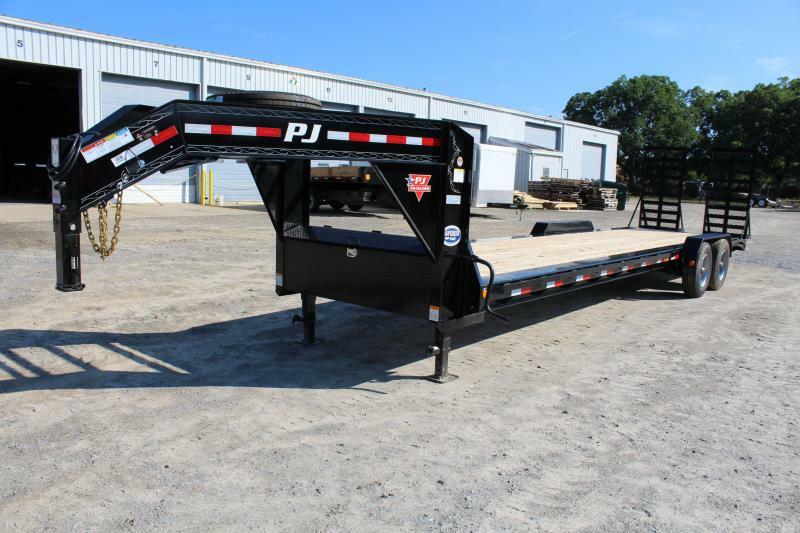 GVWR ratings of 20K to 30K allow plenty of payload capacity for a skid loader, tractor backhoe or excavator. 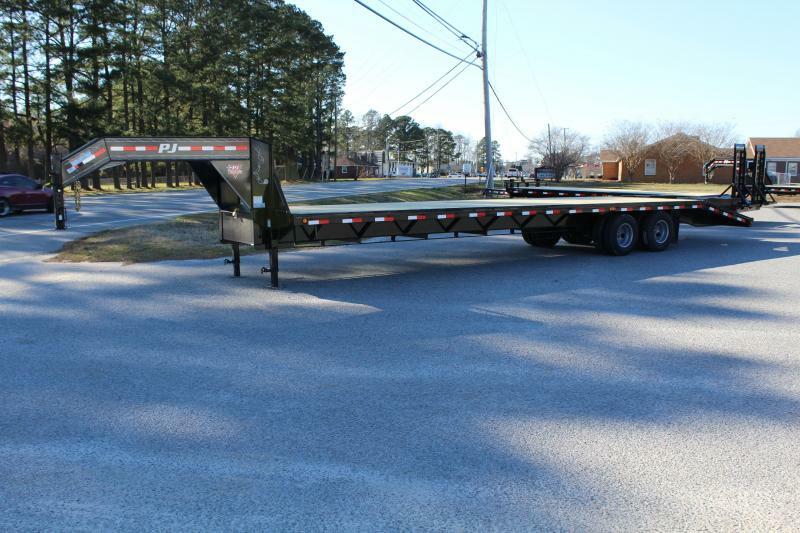 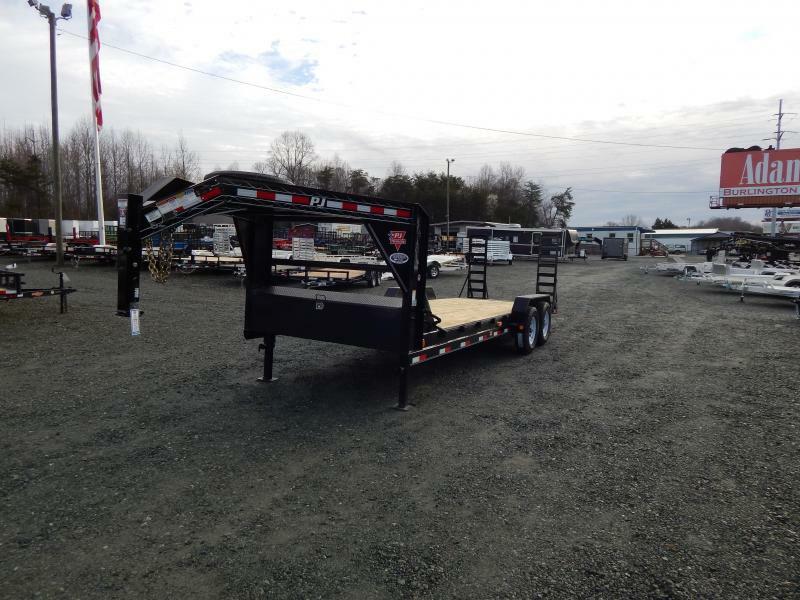 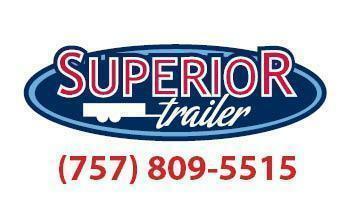 With 4 locations Superior Trailer keeps a large inventory of gooseneck trailers in stock.